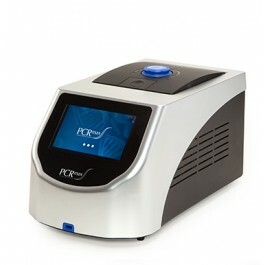 The PCRmax Alpha cyclers are developed to deliver not only the best quality data you can expect from PCRmax but also to innovate and exceed the high standards expected by the community. Alpha Cycler software has features such as recently used programmes; allowing users to quickly access their most commonly used protocols without the need to navigate through folders to find it, individual user logins; with protected protocols as-well-as allowing users’ access to temperature logs after each run to monitor the state of the system. The Alpha Cycler systems also contain a novel programme wizard which allows users to define a protocol based specifically off their primer sequence and template source. Primer sequences or Tms are inputted, amplicon length and source defined and the on board algorithm generates an optimised protocol for your assay. Alpha Track App: Track the progress of runs and health of your system remotely via your app. Be notified of any issues and potentially prevent system failures occuring.